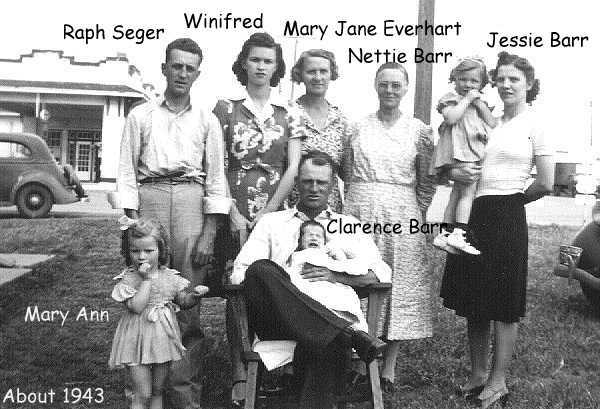 Much of the research data for the early years of the history of this Everhart family in America was provided to me by Mary Ellen Weaver, of Spickard, Missouri, who is a great granddaughter of Sarah Everhart Shepherd and who had worked on her family genealogy for a number of years. (I had never met Mary before she contacted me the first time and it was really spooky when she sent me a picture of my grandmother as a young woman, and one my g-great Aunt Sarah, both of which I had recently found in the family photo albums) Mary died in early October, 1994, with her work unfinished. From her research, however, she firmly believed that Jacob Everhart was a son of David and Sarah Everhart and a grandson of Frederick and Nellie Everhart. Since 1994, little has changed and the connection of my branch of the Everhart family tree to the family of Frederick Everhart is still awaiting good, solid evidence. I have been told by several genealogists that there is no connection, but for the time being I'm going to assume that there is and keep trying to find the links. The information on the Frederick Everhart family is correct up to the point that I say that Jacob Everhart is the son of David and Sarah Everhart..... and my Everhart genealogy is correct after that point. The linkage is questionable. If you are searching for Everharts in your family tree, please be aware of this possible problem. Also, if you have ANY knowledge of the family of Jacob Everhart in or near Harrison or Grundy counties, Missouri around 1880, please contact me. Frederick Everhart was born on February 7, 1753 in Pennsylvania and died in September, 1832, in Tuscawaras County, Ohio. He was the fifth child of Johannes Eberhardt (1702-1756) and Susanna Guhl (1716-1790), both of whom had immigrated to Pennsylvania from Germany. They were the parents of six children. Frederickserved as a Private in the Lancaster County Militia during the Revolutionary War and received depreciation pay or a pension (Pennsylvania Archives, 5th Series, Vol. 8, Page 108). Lancaster County and the City of Lancaster are west of Philadelphia and north of Baltimore. Actual tax records show that Frederick was assessed for the first time in Penns Township, Northumberland County, in 1776. The records also show that only four acres of land had been cleared. The Pennsylvania Archives - Third Series, Vol. XIX, shows that Frederick paid taxes on 100 acres of land and 1 horse in 1785 in Penn's Township. Frederick married Nellie Lyst about 1777 and they were the parents of nine children. Ellander "Nellie" Lyst was born on February 9, 1757 and died September 13, 1831 in Tuscawaras County, Ohio. She was a daughter of Jacob and _______ Lyst. Frederick and Nellie's first child, John, was born on February 22, 1778, in Northumberland County, Pennsylvania and Catherine was born on June 16, 1780. David Everhart was born on December 16, 1782, in Northumberland County, Pennsylvania and Jacob was born May 10, 1784. Elizabeth was born May 24, 1786 and died on July 28, 1874. Barnett was born January 7, 1789. Frederick Jr. was born June 25, 1790, George was born August 21, 1792 and Peter was born October 2, 1794. Their eldest son, John, married Mary Miller and they were the parents of five children (Catherine, David, Elizabeth, John Jr. and Phillip). He died in 1862 in Rumley Township, Harrison County, Ohio. Mary died in 1858 and is buried at Old Zion Cemetery, German Township. Their oldest son, David (1801-1840), married Rachel Hicks (1801-1858). The children of David and Mary were; John, Mary, Daniel, Catherine, Marie Anne, Levi, Sarah, Elizabeth, Amos, David, Rachel and Bethiah. They moved to Tuscawaras Co. in 1840 where David died when struck by lightning. Both are buried at the Salem-Evans Creek Church cemetery. Barnett married Rachel Hofane (Hufacker?) first and then Nancy Foster. Their first child, George Washington Everhart married Anna Everhart, who was the daughter of Barnett's younger brother, Peter. Frederick Jr. married Elizabeth Borntraeger on January 30, 1811, in Jefferson County, Ohio and died July 28, 1874 in Scott County, IN. George married Catherine Buntriger(?) on September 10, 1816, in Tuscawaras County, Ohio. Peter married Polly Fry (Frey) first, and then Jane Barr on March 24, 1825 in Tuscawaras County, Ohio, and died on February 13, 1853. Elizabeth Everhart married George Tope on June 25, 1812, and Catherine Everhart may have married Josephus Hunt on August 3, 1815, or William Allen on February 2, 1817, in Jefferson County, Ohio. 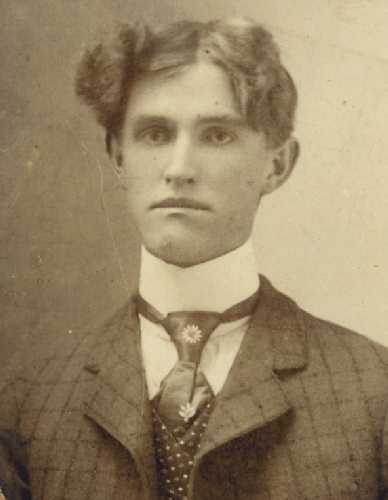 Samuel Everhart, a son of Frederick Jr. and Elizabeth Everhart, and a grandson of Frederick and Nellie Everhart, was born in 1833 in Scott County, Indiana. It appears that several of the children of Frederick Sr. apparently moved to Scott County, Indiana in the early 1800s. Samuel married Nancy Jane Weaver on July 25, 1854, in Scott County. They moved to Illinois and farmed the NE 1/4 of Section 16, Bainbridge Township, Schuyler County (1872 Co. Atlas). David Everhart married Sarah Enoch about 1802-3. Sarah was born on March 16, 1787 in Greene, Pennsylvania, and was the daughter of Henry Enoch III, and Sarah Teagarten. Some years later, David and Sarah moved their family to Coshocton County, Ohio. Sarah died in Adams, Coshocton County, Ohio on May 17, 1853. In the westernmost reaches of the Appalachian foothills, two rivers have carved their converging paths to form a third, larger valley that channels their waters first to the Ohio, then to the Mississippi and, finally, the Gulf of Mexico. The names of the three rivers -- Walhonding, Tuscarawas, Muskingum -- and the name "Coshocton," as well, are reminders that, in centuries past, the area that is now Coshocton County was a center of Indian culture and was once the capital of the Delaware Nation. Throughout the centuries, man has traveled these valleys, first by canoe and by horseback, then by wagon, canal boat, railroad and now by motor vehicle and in the air. During the Indians' residence, the rivers were their highways through virgin forests so dense that they kept the creatures of the woods in semi-darkness from spring to fall. In the autumn of 1764, the valley was the path for some two thousand British soldiers and Lieutenant Colonel Henry Bouquet who came to secure the release of more than two hundred settlers who had been prisoner by the Indian tribes then waging the Pontiac War. During the mid-1800s, Irish and German immigrants scraped the Ohio-Erie Canal out of the valley floor. The "Big Ditch," which connected the Great Lakes to the Ohio River, would bring bring the sixth President of the United States, John Quincy Adams to the valley. Later in the century, railroads came to the valley, also following the rivers' natural excavations. Ironically, canal boats carried the rails to build the roadbeds for the next generation of transportation -- one that would render the canal itself obsolete. Trees still line these fertile valleys, providing a haven for the abundant wildlife that has flourished here since before the Indians' reign. The vigorous commercial ventures of those who now call Coshocton County home also flourish. In the history of Coshocton County, Ohio, it is recorded that David Everhart settled in the wilderness of the Southeast Quarter of Section 20 in 1828. He had come from Pennsylvania about 1820 or 1821, and had settled in the White Eyes Township before coming to Coshocton County and buying land from Philip Fensler. After his death, sometime between 1847 and 1849, the land was divided equally to his children. Most of the siblings later conveyed their shares to John Everhart. David and Sarah were the parents of: Frederick E., born May 13, 1803, in Washington County, Pennsylvania. He died on May 22, 1868. John Everhart was born January 17, 1805 and died March 13, 1882. Henry Everhart was born on February 16, 1807 and died on May 7, 1882. Ellen was born 1809/10. Catherine was born in January 11, 1811 and died August 22, 1891, in Harrison County, Missouri. She was buried in the Mitchell Cemetery at Melbourne. Peter was born February 21, 1814, in Tuscarawas County, Ohio, and died on May 22, 1883. Mary Polly was born 1815/16. George was born 1821 and died in 1870. Jacob Everhart was born about 1823 in Ohio and died sometime after 1875. Sarah was born about 1825-29. The family belonged to the Salem-Evans Creek Lutheran Church of Tuscarawas County, Ohio. Frederick E. married Elizabeth (Betsy) Miser on February 13, 1825 in Ohio and they had three children between 1828 and 1833 (Susan, Elisabeth and David). Frederick built a saw mill on the Middle Fork in northern White Eyes Township, but it went out of operation when the land was sold to Lewis Swigert (Hill's History of Coshocton, page 621). Their son, David, married Sophia Gonter in 1862. David and Sophia had 7 children; Calvin, Mary, Elizabeth, Saloma, Walter, Maggie and Ellie(ibid., Page 676). Citation: Hill, N.N. 1881. History of Coshocton County, Ohio: Its Past and Present, 1740-1881. - A PDF copy of this book is available through Google books. "EVERHART SAMUEL, White Eyes township; farmer; born in this county, in August, 1832. His father, Henry Everhart, came to this county from Tuscarawas county. Samuel remained at home until he was twenty-five years old, and married Miss Florinda Hoobler, the daughter of Jacob and Mary Hoobler of Tuscawaras County, on November 25, 1856. Mrs. Everhart was born in 1839. They have had a family of six children. one of who is deceased. Those living are Eliza J., born in 1858, is married to Peter Farney, and lives in Tuscawaras County; Isaac B., born in 1859; Catherine, born 1864; John A., born 1872; Della M., born 1879. Mr. Everhart has always resided in this County." (Adapted from Hill's History of Coshocton, p. 676). John married Judith Ann Barrack on April 19, 1832, and Henry married Barbary Mizer on April 7, 1829, both in Ohio. Ellen married John Olinger on September 17, 1826. Catherine married Joseph Benjamin Corbin on February 25, 1830, and Mary Polly married Benjamin Corbin on April 24, 1834, both in Coshocton County, Ohio. Catherine, at age 59, is in the 1870 Missouri Census (Adair County), with sons George W.(20) and Levi C.(15). 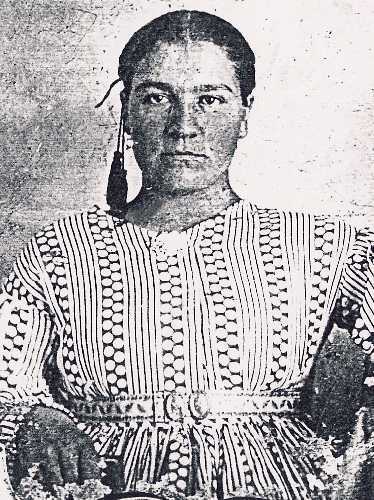 She is also in the 1880 Census of Harrison County, Missouri (Sugar Creek Township). Catherine died August 22, 1891 (age 80) and is buried in the Mitchell Cemetery, Harrison County, Missouri. Benjamin and Mary Corbin (ages 61 and 56) are in the 1870 Missouri Census (Adair County). There is a 17 year old Samuel Everhart living with them. Peter married Mary Gardner on April 16, 1835 in Ohio. David and Sarah Everhart's youngest child, Sarah, may have married Jacob Garrett in 1846, at the age of 21, in Tuscawaras County, Ohio. George (age 19) married Elizabeth (Betsy) Miser (age 34) on August 30, 1839 in Tuscawaras County, Ohio. The wedding certificate (page 353, No. 2817) was signed by Philip Mizer, J.P. (Justice of the Peace). She had been married to his older brother, Frederick E. Everhart (What happened to Betsy's marriage to Frederick? In 1860 he is remarried to "Elizabeth" (born 1815). David (age 26) is still living in the home. Frederick lived until 1868 and died in Coshocton Co., Ohio. George (29) and Elizabeth (44) are in the 1850 DeKalb County, Indiana Census (Union Township, Page 250B). At that time, their children are: Benjamin (8), Simon (6), Amanda (5) and Solomon (2). George's occupation is listed as "Farmer". John Miser (23, Laborer) is living with them and the farm family of Michael (48) and Mary (42) Miser is living nearby. 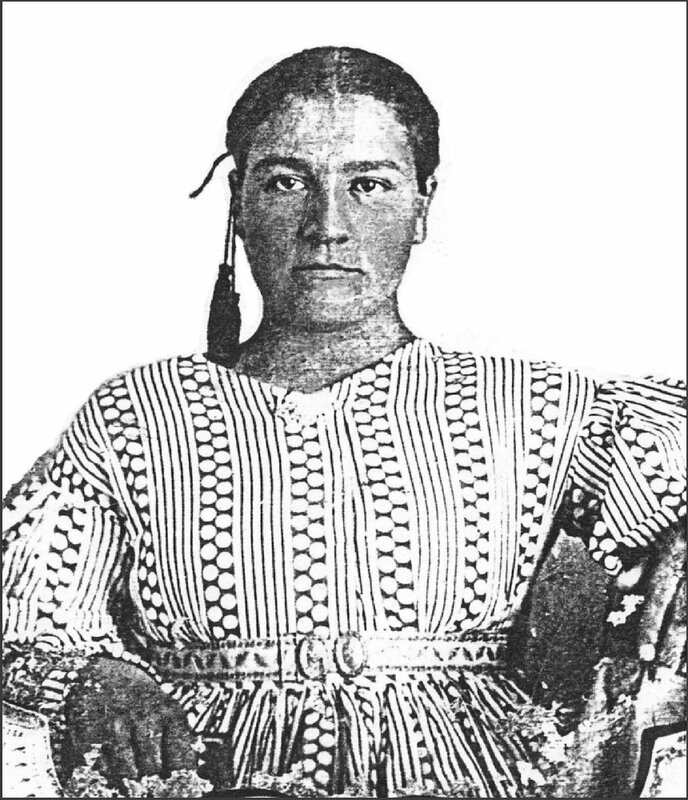 From the appearance of two of their children in later (1862) photographs (tin types of Benjamin and Amanda), it is likely that George Everhart and/or Betsy Miser had a lot of Indian blood. Amanda (LEFT) is shown with dark hair, dark eyes, dark skin, and a single beaded braid behind her right ear. She married Jacob Sivets who served in the 7th Missouri Cavalry. Amanda died in 1898 and is buried in the Hazel Creek Union Cemetery in Adair County, Missouri. 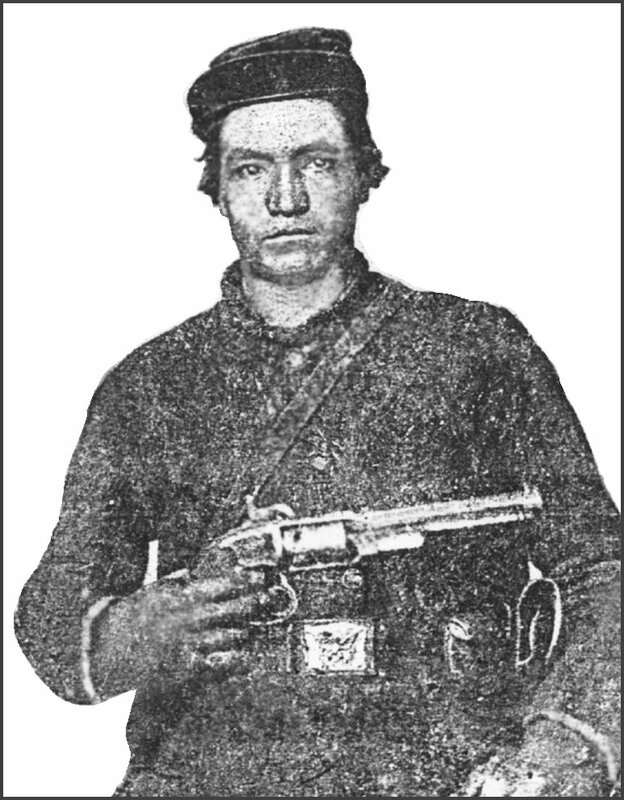 Benjamin Everhart is shown in a Union Cavalry uniform, with dark hair and skin, and a pistol (a Savage 1861 Navy Model, .36 caliber, made in 1861) held across his chest. He enlisted December 5, 1861 and was serving in Company I, Seventh Cavalry Regiment, Missouri Volunteers. At some point he was captured by Confederate forces (possibly at theBattle of Lone Jack, August 15-16, 1862) and later was returned to the Union side under a Prisoner of War exchange. 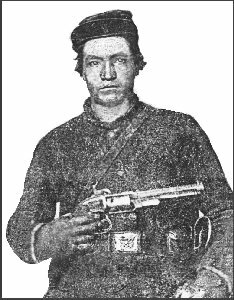 He died of pneumonia on June 27, 1863, in Irontown, Missouri, at the age of 20 while serving as a hospital orderly. His grave has not been located. His younger brother, Simon, also a private in Company I, picked up his effects and delivered them to his parents. Later that same year (Oct 11, 1863), Simon also died of disease while serving in the Union Army. He was buried in the Jefferson Barracks National Cemetery on October 11, 1863 (Plot: 31 0 2594). AUTHORS NOTE: On the "Inventory of Effects of Deceased Soldiers" form, it says that Private Benjamin Everhart was five feet, eight inches high, of dark complexion, black eyes and brown hair. It is interesting that his physical description is almost an exact match for the one written in the U.S. Army physical of my grandfather, Frank A. Everhart, in 1902. Elizabeth died about 1856(? ), and George then married Barbara Fretz who was 21 years younger than he. They are recorded in the 1860 Missouri Census for Adair County, with children: Benjamin (19, the same age as Barbara! ), Simon (17), Amanda (14), Solomon (12), Samuel (10), Lemuel (8) and Samantha, aged 2 months. They also show up as a family in the 1870 Census for Adair County, Missouri, with Martha (14, born 1856), Samantha Jennie (11, born 1858 or 59) and William (9). Elizabeth (age 51) may have died in childbirth and if so, Martha would be her child. Jennie and William are Barbara's children by George Everhart. George and Barbara are recorded in the 1880 Federal Census of Adair County, with their children, Samantha (Jennie) and William. George Everhart died on December 31, 1887, of Bright's disease at the age of 67 in Kirksville, Missouri and is buried in the Forrest Llewellyn Cemetery. Barbara (age 49) married second to John Shaver (second) on April 3, 1890 in Kirksville. There were no children of this marriage. John Shaver died in 1914 at the age of 72 and is buried in the Shaver Cemetery in Adair County. In the 1910 Census of Knox County, Illinois, John Shaver is living with his daughter and son-in-law, and is listed as "widower." ADDED 4/13/2012: Some of the mystery of George and Barbara Everhart was cleared up today with a photo of George Everhart's grave marker in the Forrest-Llewellyn Cemetery in Kirksville, Missouri. The marker is laying on the ground and is very weathered. From the photo, part of the inscription can be read: "Barbara, wife of John Shaver - 1st Husband George Everhart." The dates are not easily readable in the photo but have been transcribed as: Barbara Sept 11 1841 to Apr 19 1903; George Sept 15 1820 to Dec 31 1887. The marker is actually for two graves, George and Barbara Everhart. Although Barbara remarried after George died, she apparently wanted to be buried next to him, in the same cemetery that includes other members of the Everhart family. Samuel G. Everhart, son of George and Betsy Everhart, married Mary Isabel Bailey in Adair County on November 14, 1875. They had two children (Ida May and Glenn). Samuel died in 1917 at the age of 67 and is buried in the Forrest-Llewellyn Cemetery in Kirksville, Missouri. His wife died in 1943. Lemuel Everhart (age 17) is shown living with Benjamin and Mary Polly Corbin in the 1880 Federal Census of Adair County. Mary Polly Corbin was the daughter of David and Sarah Everhart, and would have been Lemuel's aunt (sister of George and Jacob Everhart). THE MIDDLE YEARS: From Ohio to Indiana to Missouri and ???? Jacob Everhart married Anna Miser (?) about 1841. Anna was born in Ohio in 1822. In 1931, Anna's maiden name is listed a Annie Mysier on Mary Polly's death certificate. This probably "Miser - which may mean that Jacob and George probably married sisters. 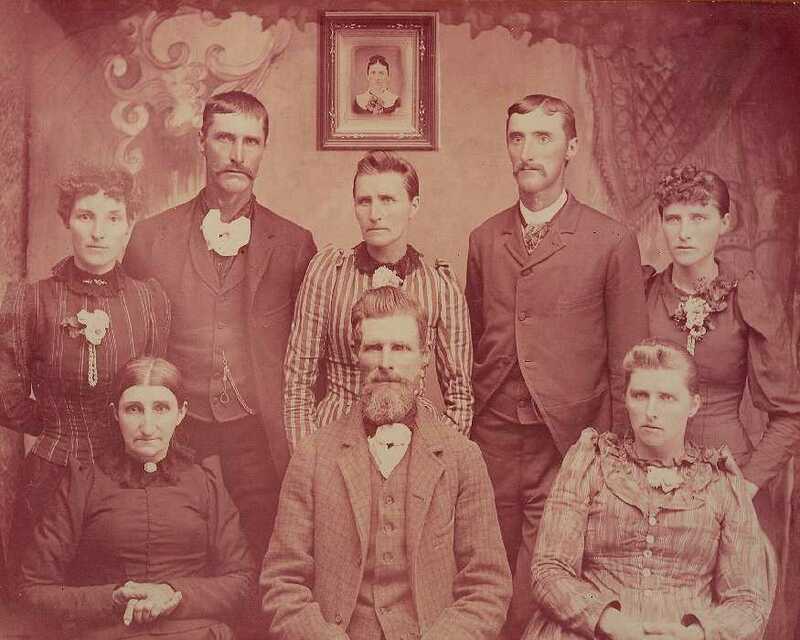 Jacob and Anna were the parents of: Sarah C. (born January 25, 1843, Coshocton County, Ohio); John (born 1845, Ohio), Mary Polly (born July 20, 1847, Coshocton County, Ohio), Hila or Hillia (born 1850), Calvin Luther (born April 6, 1854, in DeKalb County, Indiana), Ev or Evan (a son born 1857, Indiana), and David (born 1860, Indiana). Excerpted from the records (Pg. 8-9) of the Salem Evans Creek Lutheran Church, Bucks Township, Tuscawaras County, Ohio, originally published by the Tuscawaras County Genealogical Society (1975). Items within brackets [abcde] are my notes. Note: Both the Jacob Everhart and George Everhart Families moved to DeKalb CO. Indiana before 1850. They may have had another child, Rachael, who was recorded as born to Jacob and Susanna Everhart and was a twin to John Everhart. The two babies were baptized in the Salem Evans Creek Lutheran Church in November, 1845. Rachael's fate is unknown. Sarah and Mary Polly Everhart were also both baptized in the Salem Evans Creek Lutheran Church, Bucks Township, Tuscarawas Co., Ohio (Mary on September 18, 1847). The family must have moved to Indiana shortly after Mary Polly was born. They appear on Page 207 of the 1850 Federal Census of Indiana living in the town of Auburn in DeKalb County, and page 212 of the 1860 Federal Census of Richland Township, DeKalb County, Indiana (just west of Auburn). Jacob Everhart's occupation is shown as 'blacksmith' in both of these records. Hilya was their first child born in Indiana. The George and Elizabeth Everhart family (see above) was living in Union Township in 1850 (The town of Auburn is also in Union Township) but had moved to Missouri before 1860 (see note above). It seems likely that these Everhart families were connected in some manner. Ten years later (1870), portions of the same two Everhart families show up in Missouri. There are no records of the Jacob Everhart family serving in the Civil War. Jacob was still young enough to have volunteered and John would have been 18 years old in 1863. Jacob and Anna Everhart family left DeKalb County sometime after 1868 when Jacob sold his property in Richland Township to Lucy Ward (date of deed is March 25, 1868; date of transfer is April 10, 1869). The family arrived in St Clair County in western Missouri some time before the 1870 Census. Sarah was married in Adair County in 1869 (where George Everhart lived), but Hilia was married in St. Clair County in 1870, and Mary Polly was married there in 1871. In 2010, most of the family was located in St. Clair County in the 1870 Federal Census. Jacob and Anna still had four children at home (John, Calvin, Ev and David; ages, 25, 17, 13, and 10). While all three of their girls are married, Hilia was also living there with her husband, James R. Maybee, and their two month old baby (unnamed). The baby apparently died in infancy and a second daughter, Caroline Maybee, was born on August 8, 1871. Hilia died six weeks later on September 27, 1871. 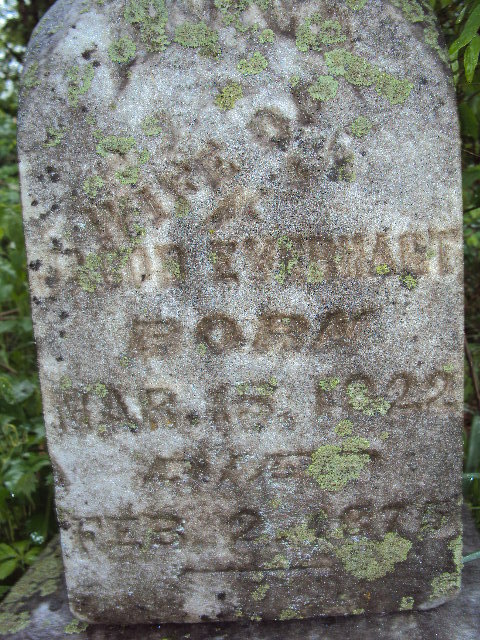 Hilia's grave marker in the Good Cemetery, St Clair County, Missouri, reads "Hillia, Wife of James Maybee, Born Oct. 16, 1849, Died Sept. 27, 1871." In the 1880 Census, James R. Maybee is shown living with his widowed mother (Caroline Maybee), brother and 9 year old daughter (Caroline) in West Salem, Mercer County, Pennsylvania. In 1890, Caroline (Callie) married Everett Fenn, had three sons (Charles, Ralph and George) and died in 1948 at the age of 77. Callie Fenn is shown as widowed in the 1940 Ohio Census, living on her farm in Trumbull County, Ohio. Her youngest son, George and his wife Ruby are living with her. James Maybee remarried in 1881 to Margaret Elizabeth Eastlick and they were the parents of twins, Jasper and Nellie in 1884. Nellie may have married at 16 to a Mr. Dietz, and then to Homer Wagner (She has two Dietz children, born in 1903 and 1905). Jasper is shown in the 1900 Census, age 16, living with his mother and step-father (Sylvester Taggart). They had been married for 7 years....thus James Maybee may have died sometime after 1890. Anna Everhart died on February 2, 1875 and is also buried in the Good Cemetery outside of Taberville in St. Clair County, Missouri. Here is a photo of her headstone. 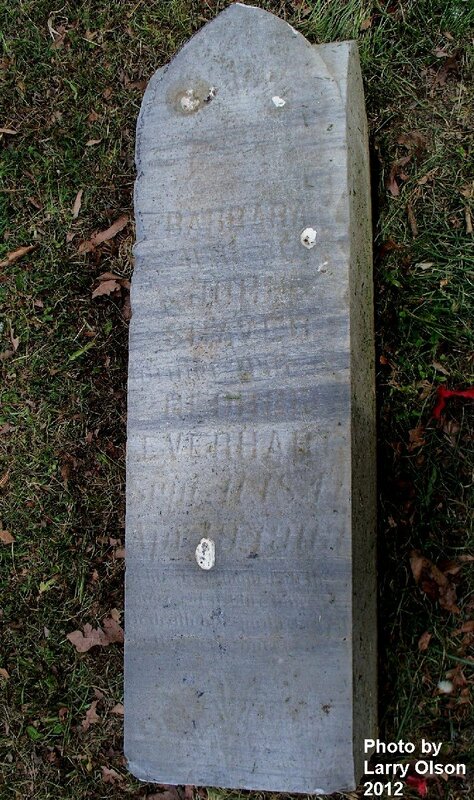 It reads "Anna, Wife of Jacob Everhart, Born March 15, 1822 in 1890, Died February 2, 1875." The whereabouts and date of death of Jacob Everhart is still unknown (2013). Although it was said that Jacob Everhart later worked in Melbourne, Missouri (Harrison Co.) as a blacksmith and was buried there, no records have been found to substantiate the story. In the 1870 Census for DeKalb County, Indiana, Benjamin and Anna Wise have a child, Andrew Everhart, age 4, who was born in Indiana. In the 1860 Census, the same family has a daughter, Mary, age 11, who is not present in 1870 and could have been the mother of Andrew. In the 1880 Census, Andrew is still living with the family, and there is an indication that his parents may have come came from Germany. It is unknown whether or not this Andrew Everhart was a relative. Sarah Everhart married Ulric Z. Shepherd on September 29, 1869 in Adair County, Missouri. He had served in Company G, 43rd Missouri Infantry for ten months at the end of the Civil War as a drummer boy, having enlisted at the age of 14 after his father was killed by Confederate raiders. She was 7 or 8 years older than he was when they were married, and died 25 years before he did. She had been a school teacher and may have taught Ulric to read and write. Sarah and Ulric Shepherd had 11 children, four of which died under the age of 4, and one, Samuel, who died from an accidental, self-inflicted gunshot wound at the age of 13. Samuel was her last child and was born when she was about 45 years old. Sarah and Ulric's first child, Mary Anna Bell, was born in Adair County, Missouri, in 1870. Their next three children, Daniel Jacob, Hila Evalena and Emma Adalin, were born in St. Clair County, Missouri, in 1871, 1873 and 1874. The next two children, Clara Rachall and Charles Ulric, were born in Davis County, Missouri, in 1876 and 1877. The last five children were born in Harrison County; William Franklin (1879), Minnie Florence (1881), Katie Jane (1883), George Wesley (1885-1955) and Samuel Henry (1887-1901). The Ulric Shepherd family was recorded (sheet 20) in the 1880 Federal Census of Harrison County (Sugar Creek Township), Missouri. The Shepherd family experienced considerable tragedy during the 1870s with the deaths of four young children. 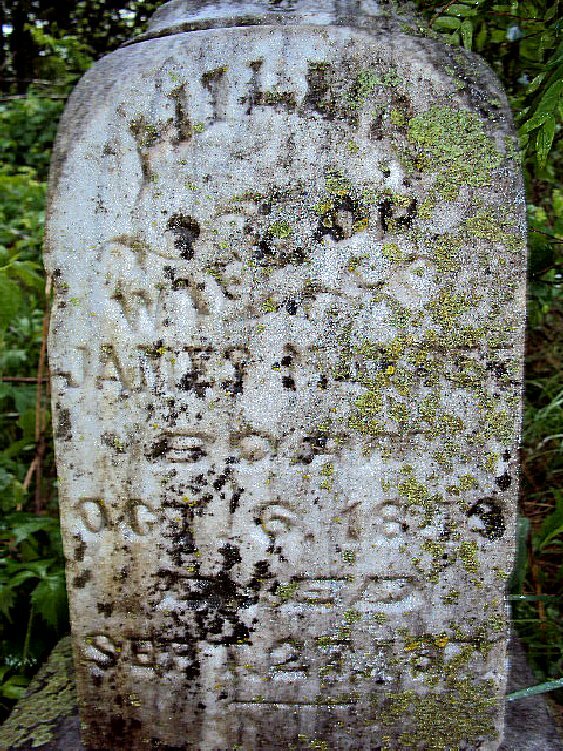 Daniel Jacob died on November 13, 1873, at the age of 2 years and 2 months. Clara Rachall died on September 6, 1876, at the age of 7 months. Charles Ulric died on September 17, 1878, at the age of 1 year and 1 month. Hila Evalena died on September 29, 1878, at the age of 3 years and six months. 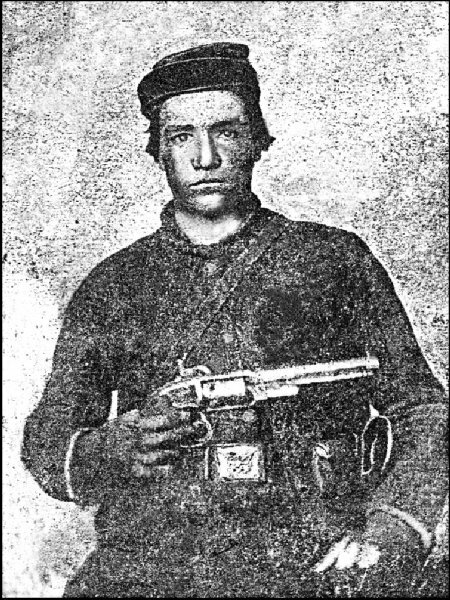 Another son, Samuel Henry, died on February 22, 1901 at the age of 13 years and 6 months when he apparently shot himself while playing with his father's pistol. Sarah Shepherd died on December 24, 1905 at the age of 62 and is buried in the Mitchell Cemetery, Harrison County, Missouri. It was said that she died of a broken heart over the death of her youngest son, Samuel. Ulric Shepherd re-married on August 17, 1917, to Fanny Cochran Vance, the mother of his deceased son-in-law, Henry Vance. Ulric Shepherd died on May 22, 1930 and is buried in the Mitchell Cemetery in Harrison County with his first wife, Sarah Everhart, and son, Samuel. Henry Vance had married Emma Adalin Shepherd on August 12, 1892. Henry and Emma had eleven children, starting at the age of 18; George I., born 1892, Eva E., born 1895, Fannie M., born 1896 and Annie L., born 1898. In 1914, Henry Vance, apparently unable to cope with his personal problems, killed himself while hunting with his sons. Emma died on October 10, 1944 in Harrison County at the age of 70. John Everhart shows up in the June 1, 1880 Census of St Clair County (Tabor Township), Missouri. He was still single and living with the Giddeon Smith family. His age is shown as 36 (our John would have been 35 at the time). The record indicates that he was born in Ohio and both of his parents were born in Ohio. Coincidentally, the record also lists his occupation as 'blacksmith', the same as Jacob Everhart, and the same as shown in the 1870 Census (age 25). It would seem likely that the eldest son would have the same trade as the father. There is a grave in the Good Cemetery in St. Clair County for a John Everhart (B. October 11, 1842 - D. April 9, 1883). The birth years do not match up, but that may be an error on the recorder (Our John was born in 1845). No other records pertaining to John Everhart have been found. Mary Polly Everhart married Samuel Beverlin in St. Clair County on October 31, 1871 and were living near her parents. Their first child, Nellie, was born in there (January 1, 1873). Omer was born in Illinois (February 2, 1875), most likely in Mercer County; Clair was born in Iowa (July 30, 1877), and then the family returned to the town of Eliza in Mercer County, Illinois before 1880. Arch Beverlin was born there on July, 1880, just after the 1880 Census. Another son, Clyde, was born in Illinois on October 7, 1883, and a daughter, Lona, was born in Missouri (most likely Harrison County) on November 20, 1887. They eventually moved to Gilman City (Harrison County, Sugar Creek Township), Missouri where they raised their six children. Omer, who died at age 18 is the only one of their children who is buried in the family plot in the Cat Creek Cemetery. In the 1880 Illinois Census, Samuel and Mary Polly Beverlin were enumerated in the town of Eliza, Mercer Co., Illinois. It is possible that Calvin Everhart (age 26 in 1880) was living with or near his sister, Mary, about this time and could have married a Carrie (Caroline) Beverlin. This could explain the close relationship between Calvin and his sister, Mary Polly Beverlin, and the Beverlin family in general. However, no records of this marriage or children have been found. Mary Polly Beverlin is listed in the 1900 Census of Harrison County (Sugar Creek Township) at age 52, with her husband Samuel and son Clyde (16) and daughter Lona L. (12). She also shows up in the 1910 Census of Harrison County (Sugar Creek Township) at age 62 and Clyde, age 26, is still apparently living at home. Her husband, Samuel, is not listed in the Census but lived until 1933. There is a death record for Cally or Callie Everhart, who died of dysentery in 1885 at the age of two. According to the State Record, she is buried in the Cat Creek Cemetery but there apparently is no marker. 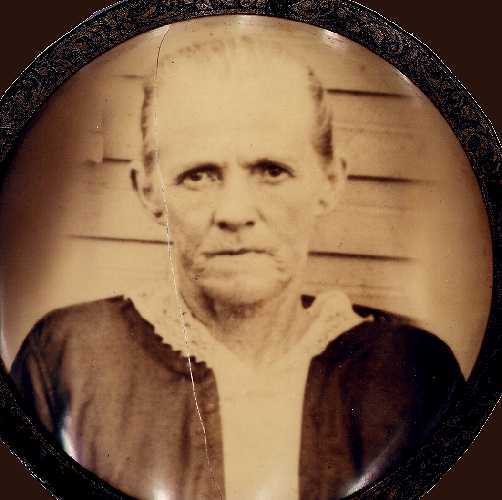 Although Winifred Seger stated that Callie was Anna Everhart's daughter, Anna died in 1875, and otherwise would have been almost 60 at the time Callie was born. Callie is more like a grand daughter but whose? Samuel and Mary Polly's daughter, Lonna, age 22, is there, married to a Weithall and has son, Lee A., age 5. Their son, Arch, is also there, age 29, married to Emma J. Corbin, and has a son, Lonnie. Emma is the granddaughter of Catherine Everhart Corbin and the great grand-daughter of David and Sarah Everhart. Ev (E.V. or Evan) Everhart is the son of Jacob and Anna Everhart. He married Bell Bosley on January 31, 1879 in Harrison County, Missouri. There were no known children from that marriage and it is unknown what happened to Bell Everhart. Ev Everhart married a second time in 1895 to Mary Gillespie (nee Sutton, b. Jan., 1864), a widow with two teenage daughters. Mary A. Gillespie is shown to be married to Daniel Gillespie, a coal miner, in the 1880 Census of Harrison Co., Missouri, with one child, Lora (b. Dec. 1879). A second child, Leora Gillespie, born about 1883, appears in the 1900 Washington Census as a step-daughter of Ev Everhart. No further records of Lora or Leora have been found. Ev and Mary moved from Missouri to Washington shortly after their wedding and settled in Pomeroy (Garfield County), a small logging town in the southeast corner of that state. Ev worked as a sawyer in a lumber mill. 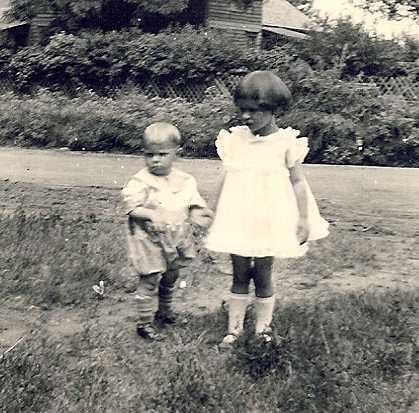 Ev and Mary had two girls, Letha Blanche (b. Nov., 1897) and Elma Ruth (b.1901), who were born in Pomeroy, Washington. There were no records of this Everhart family when the Pomeroy Historical Society was queried in 1994. Ev Everhart (age 61) and his family were in the 1920 in the Washington Federal Census still living in Pomeroy. Both of their daughters were still unmarried and living at home. The Washington marriage records indicate that Ruth Everhart (age 23) married Alvin Stepp in 1924 in Walla Walla, Washington. Ruth Everhart-Stepp died in April, 1973 in Edmonds, Washington. In the 1930 Census, Ev and Mary are living next door to Letha and her husband, Homer Clarence Roberts. After Evan's death, in the 1940 Census Mary Everhart is living with her daughter, Ruth and second(?) 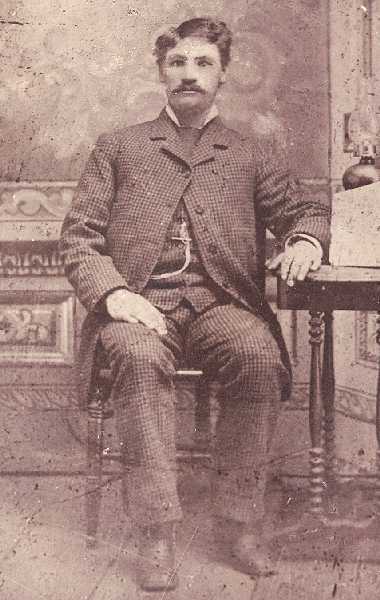 husband, William B. Haywood. The Washington State death records show that Eve Everhart (male) died at Medical Lake, Spokane, Washington, on December 25, 1937 (Estimated age 79). He was listed as still married to Mary Everhart. She survived him by 22 years and was still living in Pomeroy, Washington, when she died in 1959. According to Hildred Greenall, the daughter of Arch and Emma Beverlin, Calvin was married first to a Carrie Beverlin. The circumstances of this marriage are unknown and it is not known if there were children. In 1995, it was discovered that there was a Thomas and Mary Beverlin family in Mercer County, Illinois, not far from Rock Island, about the same time as Calvin was in Illinois. They had four daughters, one of which was named Carrie. She would have been born in the early 1870s, and would have been too young to have married Calvin. Carrie, however, may have been a Beverlin family name, and it is too much of a coincidence to ignore. Calvin Luther Everhart married Mary Corbett on February 14, 1882, in Muscatine, Iowa, just across the Mississippi River and a few miles northwest of Joy, Illinois. Mary Corbett was born in 1861 in Ireland and was a daughter of Patrick Corbett. 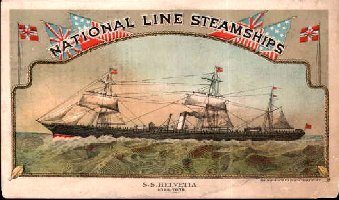 ADDED 01/09/2012 Leaving Liverpool aboard the SS Helvetia in late April, 1880, she immigrated with her parents and 3 siblings to the U.S., arriving in New York on May 10, 1880. ADDED 02/17/2012- The Corbett family is recorded in the 1880 Federal Census of Syracuse, New York (June 5, 1880). There are two additional daughters (Maggie (25), and Kate(22) living with the family. They are living next door to the family of John and Margaret Corbett, possibly Patrick's older brother, or another relative. According to Winifred Everhart-Seger, Mary Corbett may have been sponsored by her aunt, Mrs. Matthew (Winifred) Harney, of Joy, Illinois (Duncan Township, Mercer County), and may have been working as a house servant in Rock Island (1880 Census). Calvin and Mary Everhart had four children; Maude (June 16, 1882- August 14, 1936), Frank Allen Everhart (1885-1927), Herman John (1888-1943) and Grace Katherine (1893-1976). There was some question about Frank Everhart's middle name. Most earlier family accounts said it was Aloyisius but it officially appears as Allen on his Death Certificate. The Death Certificate for Maud shows that she was born on June 16, 1882, even though her gravestone says 1883. She was born in Joy, Illinois and it seems likely that Frank was born there, too. Unfortunately, there are no records available to confirm this speculation. Sometime shortly after the birth of Frank (May 31, 1885 or 1884? 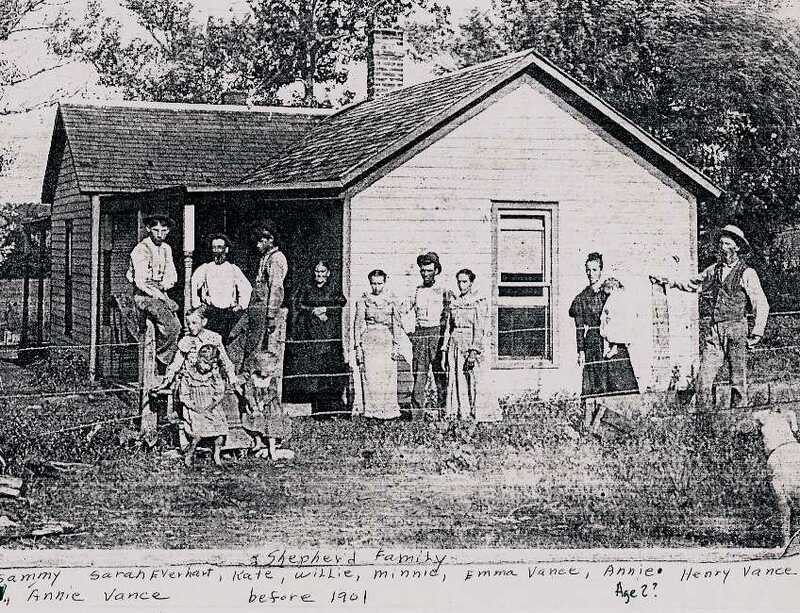 ), Calvin Everhart moved his family to Trenton in Grundy County, Missouri, near to where his sisters, Sarah and Mary Polly were living with their families (Shepherds and Beverlins). Herman and Grace were supposedly born in Trenton, Missouri and that is the place of birth shown on Herman Everhart's Honorable Discharge papers from the U.S. Army. The family is listed on page 2 of in the 1900 Federal Census of Harrison County, Missouri (Sugar Creek Township) and Calvin's occupation is shown as "Day Laborer". In this Census, all four of their children are listed as being born in Illinois, but other records show Herman and Grace to have been born in Missouri. The family moved to Oklahoma Territory later that year and settled in Pond Creek (Grant County), Oklahoma. 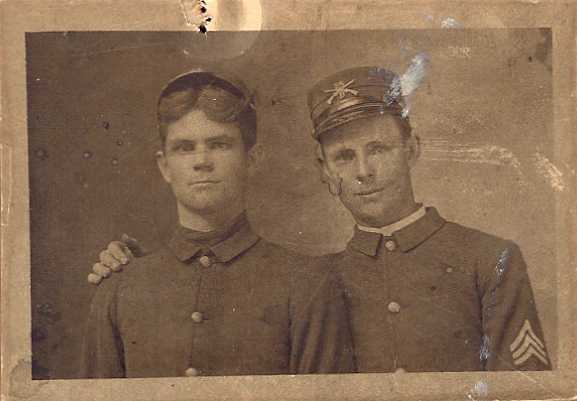 "Calvin Luther Everhart (LEFT): - father of Maude, Frank, Herman and Grace was born in Missouri in 1854. Died in Gilman, Missouri, June, 1901 at the age of 47 of Bright's disease. His father was a blacksmith and lived in Melbourne, Missouri, and is buried there. * There were seven children - John, Frank**, Ev, Polly Mary, Sarah, and Callie***, who died as a small child. -Polly Mary and Sam Beverlin lived in Gilman City, Missouri, had 5 children - Arch, Chir, Clyde, Lona and Nellie. "Calvin and Mary Everhart came to Pond Creek in 1900. Started to go on to Hennessy when a rainstorm stopped them east of town. They spent several days drying out their bedding. Came to town for supplies and Annie Dryer Kisky (a friend of Maude's) talked Calvin into staying. They rented a tent from Luther Lee and lived in it for 5 weeks. Then they traded the wagon, team and harness for a house. Father (Calvin) died and family continued to live in Pond Creek. Mother (Mary) and a sister originally came from Ireland to Joy, Illinois and lived there with an aunt or sister." ** Editors note 2: Frank is probably David Franklin Everhart (David F. in th 1860 Census and D.T. or D.F Everhart in the 1870 Census). *** Editors note 3: Callie Everhart is buried in an unmarked grave in Cat Creek Cemetery. Her death is recorded in the State of Missouri records. 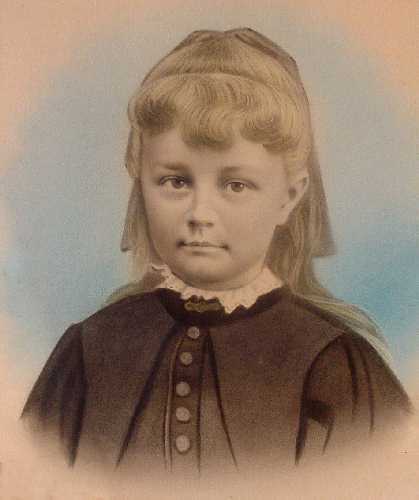 She was two years old when she died of diphtheria (April 17, 1885). It is uncertain whose child she was. Anna Everhart died in 1875. Melbourne was a town located on the Quincy, Omaha & Kansas City Railroad in Sugar Creek Township of Harrison County. At one time it had a population of 159. There was a bank (Bank of Melbourne) and several mercantile establishments (Van Dyke Brothers) there at one time(--Wanamaker, p. 166). In 1921, a small mine at Melbourne, a small plant produced a good quantity of coal (p. 103). It is in the extreme southeast corner of Harrison County, near the Daviess County line, Sec. 26, Twp. 62 N, R. 26 W on Highway 146 near Daviess County line. It was dis-incorporated prior to 1960. Mail is received via the town of Brimson, Grundy Co.
Frank Everhart has still not been located in the 1880 Census, but he is found in the 1900 Census of Kansas City (Wyandotte County), Kansas, married to Lulu for 4 years. The Census indicates that he is employed as a "stationary engineer"... someone who took care of the boiler and other mechanical systems in a building or industrial site. According to their marriage certificate, they were married in Clay, Missouri on December 26, 1895. Her maiden name was Dennis and she was born in Greene County, Missouri in August, 1874. Her parents were Peter and Mary Dennis of rural Missouri. Frank and Lu's daughter, Letha, (L.M. or L. Mae) Everhart, was born April 26, 1906, and died in Kansas City on August 16, 1992, apparently unmarried. There are no further records available of this family. "My Dad's father (Calvin Luther) died when Daddy was 13 years old. Aunt Grace told me she was 8 years old at the time. My father always told me his Dad was born in Indiana but don't remember him saying anything about his father's father. My father Herman was born Oct. 24, 1888, and died Dec. 24, 1943. Aunt Maude was the oldest, then Uncle Frank and Aunt Grace was last. Daddy and Aunt Grace both told me if I ever went to Gilman City, Melbourne or Trenton, MO. that if we would look up the Shepherd's we would find out more about the Everhart's as they were cousins and there were quite a few of them. One uncle with several children moved to the state of Washington but I don't remember them saying where. A few years ago I asked Aunt Grace about when the family moved to Oklahoma. She said her mother and father owned a home in Missouri. I don't remember which town but I thought it was Trenton. Her father wanted to go to Oklahoma so they moved all they could in a covered wagon. She said her mother had some new furniture, table, stove and etc., and a rug she didn't want to part with. She said her mother didn't want to leave the rug so it was the first thing she said she was taking above all else, but before they got there, they had to discard several of their belongings. 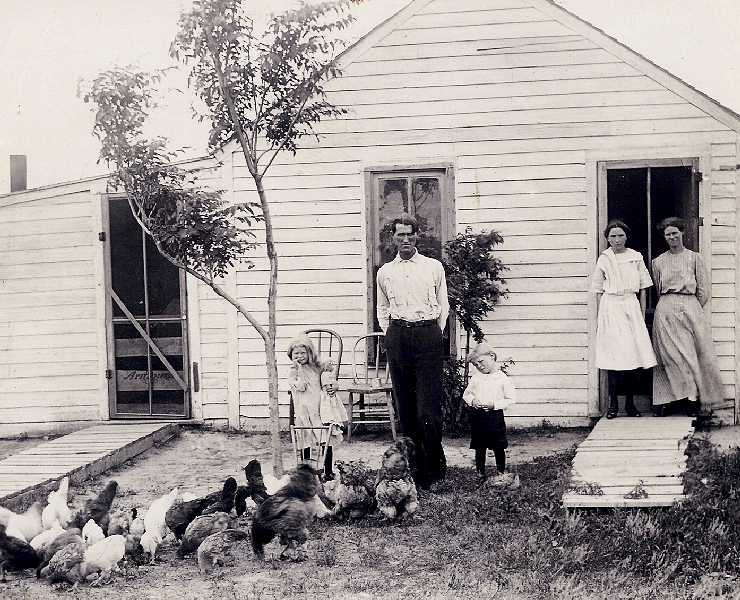 Aunt Grace said when they got to Pond Creek, they just looked and looked for a house to rent (or buy) and they couldn't find one anywhere, so they finally found some people that had a "dug out" and they let them rent it to live in. She said that they hadn't been there long when Grandfather took sick and just kept getting worse. She said it was a kidney ailment and they thought the water in Pond Creek was what caused it. She said that she remembered at 8 years old and at the time she told me she said she could see him yet sitting in a chair and his feet and legs were real swollen and the water was seeping through the skin. She said her mother put newspapers under his feet so that the water would not soak into the rug. She said as he became worse, he wanted to go back to Missouri but her Mother knew that she and the children wouldn't be able to go, so his brother from Missouri came to Pond Creek and took him back on the train, and the day they arrived he passed away. I always told Aunt Grace if I ever had the chance and I could find his grave site, I would get a stone or marker for his grave. 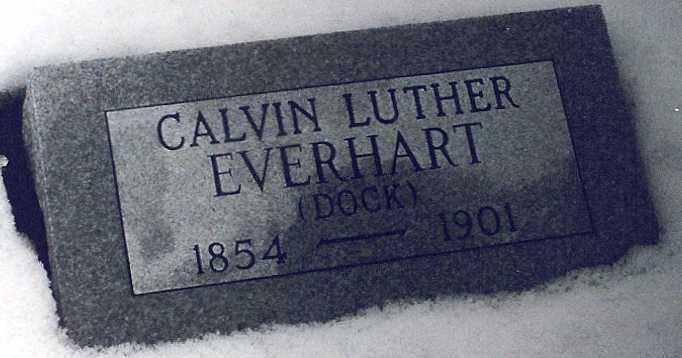 So she gave me this information: His name was Calvin Luther Everhart, known as"Dock", born April 6, 1854, died June 29, 1901." "He was buried in the Cat Creek cemetery near Melbourne, Missouri, with Trenton and Gilman City near-by towns. She said that in 1940 she, Uncle Jim and my Dad found it - just a wooden marker that said "Dock" and that was all. She said it was rickety and may not even be there now. Maybe the cemetery records would show where it was located or perhaps somebody that lived there would know." 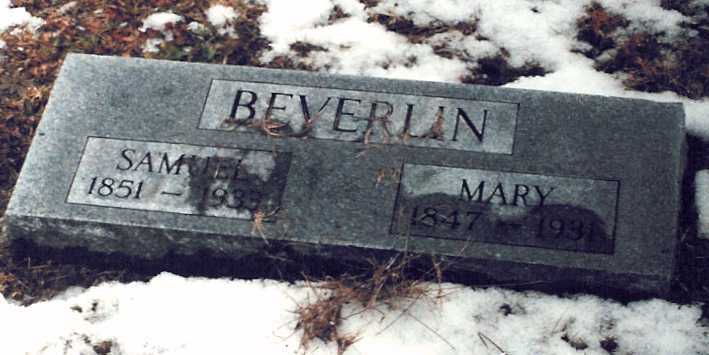 Hildred Greenall, the daughter of Arch and Emma Beverlin, helped Maxine Lowry locate Calvin Luther Everhart's grave and placed a headstone on it in 1992. I photographed the marker a year or so later. Calvin had become sick shortly after arriving in Oklahoma. He then returned to Missouri where he died on June 29, 1901, at age 47. It is unknown if any of his immediate family were with him when he died. After his death, his wife and children continued to live in Pond Creek, Oklahoma. Mary Everhart worked as a housekeeper and raised her four children. LEFT: Calvin Everhart's wife, Mary Corbett Everhart. died of heart failure on November 26, 1923, at the age of 61, just nine months after the birth of her grandson, Jack M. Everhart. 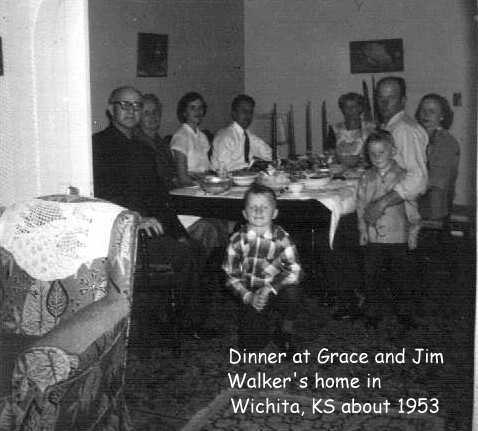 She was living with Grace and Jim Walker at the time and is buried in the Maple Grove Cemetery, Wichita, Kansas. Maxine Lowry remembered that the gravesite was given to her by one of the families that she worked for in Wichita. According to her obituary, she had been in poor health for more than a year before her death and may have had diabetes during the last years of her life. Maude Everhart was born on June 16, 1882 in Joy, Illinois. She was living with her widowed mother, brother and sister in Pond Creek, Oklahoma, when she married William Henry McKay about 1904. A daughter, Ida Fern, was born on October 11, 1906. 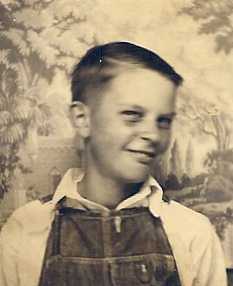 They also had two sons; Harold Frank, born June 7, 1908 and Larkin Calvin, born September 5, 1916. In 1927, William and Maude (Everhart) McKay moved to Wichita, Kansas where William worked briefly for the Cuthbert Cut Stone Company. Initially, they lived with Jim and Grace Walker in their house on Walnut Avenue and then moved into a house on North Hadley in 1928. They returned to Oklahoma before 1930 where William ('Uncle Will' as I remember him) worked as the town Marshall for most of the rest of his life. 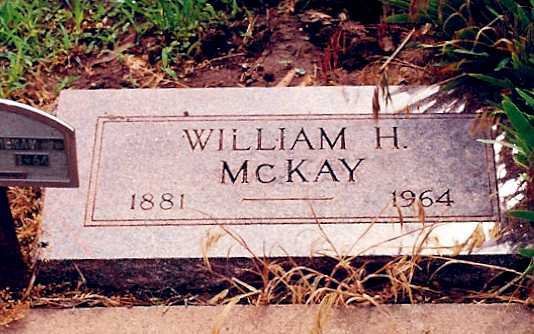 William McKay died in 1964. Their daughter, Fern McKay, worked as a barber in the Allis Hotel in Wichita and stayed in Wichita after her parents moved back to Oklahoma. She later returned to Pond Creek where she married Howard Halcomb. She worked as a barber in Pond Creek and died on April 18, 1965. She is buried in the Pond Creek Cemetery. Both Harold and Larkin McKay eventually moved to Virginia. Harold worked as an engineer for the U.S. government and married Violet May Wilson on May 27, 1944. They were the parents of four children; Harold Frank Jr., Patsy Jean, William Thomas and James Austin. Harold died on September 29, 1973. Larkin married Caroline Delores Stefaniga on September 3, 1944 and they were the parents of three daughters; Janice Ann, Marilyn and Joyce Carol. 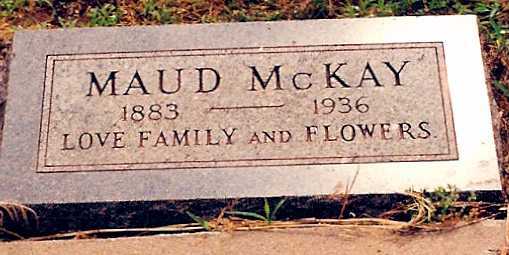 Maude (Everhart) McKay died on August 14, 1936 in Enid, Oklahoma (Garfield County) at the age of 54, and is buried in the Pond Creek Cemetery. The cause of death was listed as "Pellagra", a disease caused by a vitamin deficiency. According to her death certificate, she had the disease for nine years, or about the time that they moved to Wichita. Frank Everhart joined the Army in Pueblo, Colorado, on May 26, 1904, less than three years after his father's death, and served for exactly three years. It is unknown what he was doing in Pueblo but he listed it as his residence instead of Pond Creek. He lied about his age when he enlisted, stating that he was twenty-two when he was actually 18. He said his place of birth was Rock Island County, Illinois, which was true. His physical examination papers showed that he was 5 foot, six inches tall and weighed 125 pounds. His eyes were brown and his hair was dark brown. He listed no medical problems, but had numerous permanent scars, including two on his face and a hairy birthmark on the back of his left thigh, above his knee. According to his enlistment record, he had been working for a year and half in Pond Creek for "E.C. Simmons" prior to joining the Army, probably as a stableman. He was enlisted in the Infantry and served in the Philippines with the 21st Infantry Regiment from March 3, 1905 to September 16, 1906. His grave marker indicates that he was a Private in Company H of the 21st Infantry Regiment. The 21st Infantry Regiment and other U.S. forces were engaged in putting down the ongoing insurrection. 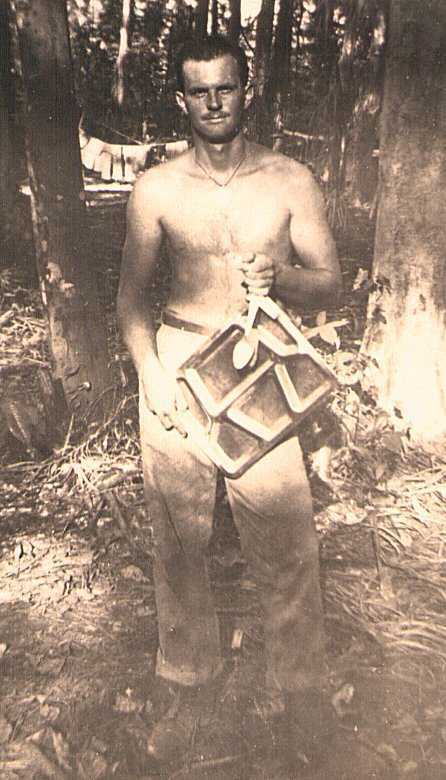 Most of his time in the Philippines was spent on Samar, a large island between Leyte and Mindanao. Samar is a popular tourist destination today. At the start of the Spanish-American War, the 21st Infantry Regiment was called to arms again. 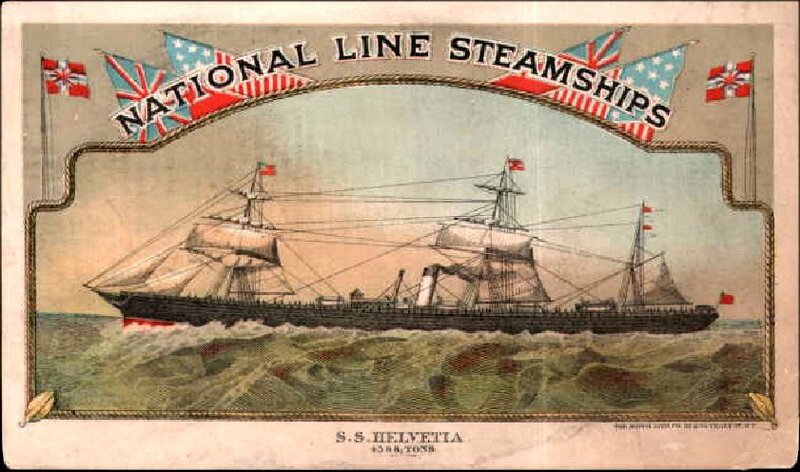 The entire regiment soon found itself aboard ship with the Army’s V Corps, destined for Cuba. Landing near Santiago, the Regiment fought not only the Spanish, but also a continuous battle against the heat, terrain and the ever-present yellow fever. In keeping with Regimental traditions, units of the 21st consistently advanced further against the enemy than did any other unit throughout the war. The 5-bastion fort, the symbol of the V Corps, appears on the 21st Infantry crest to symbolize the valor shown by the regiment during the Spanish-American War. 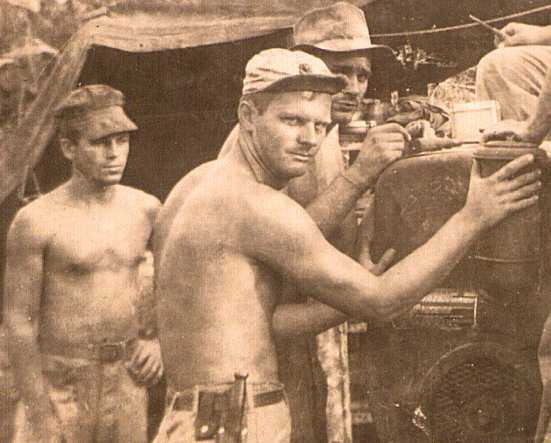 After the conflict in Cuba, the 21st Infantry Regiment was once again called on to fight for their country. This time they were sent to the Philippines. Expecting pleasant garrison life, the first elements of the Regiment arrived at Luzon in May 1899. Twenty-four hours later, they were in the trenches facing fanatical guerrillas. The 21st Infantry Regiment sent three different expeditions to the islands: first in 1899, then in February, 1905, and finally in 1909. Each of these groups was successful in suppressing the guerilla activities. The Kaptipunan Sun, part of the national flag of the Philippines, as shown on the 21st Infantry Regimental Coat of Arms symbolizes the part they played in the Philippine Insurrection. 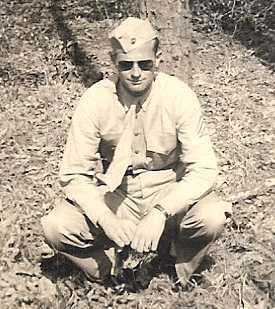 Jack Everhart provided a photograph of his father, Frank Allen Everhart, in uniform. The attached brass insignia indicated he was assigned at the time to D Company, 28th Infantry. In the picture (LEFT), an unidentified Army Sergeant of Infantry is standing next to Private Frank Everhart, with his hand on Frank's shoulder. For some unknown reason in his enlistment records, Frank Everhart listed both of his parents as being dead. He had listed is sister, Grace Everhart, as the person to notify in case of an emergency and may have been trying to keep his mother from worrying about him. The picture was taken during his first six months in the Army (completion of basic training? ), and before he was transferred to H Company, 21st Infantry Regiment at the Presidio in San Francisco on November 1, 1904. The 21st Infantry left the United States for the Philippines on February 1, 1905,and returnedto San Francisco, California on October 17, 1906. They then left by train on October 20, 1906 for Fort Logan, Colorado and arrived at Fort Logan on October 25, 1906. The unit performed the "usual garrison duties" at Fort Logan. Frank Everhart was discharged from the Army on May 26, 1907, at Fort Logan. Frank was stationed at Fort Logan during the last few months of his military service during a period when troop strength there was about half what was authorized. Fort Logan was a small post located near Littleton, just to the south of Denver. The base was built on land purchased and given to the Army by the citizens of Denver. It was later referred to as "Fort Forgotten" due to lack of attention by the Army and, although it eventually grew to cover one and a half square miles, it never was a major military installation. It is possible that Frank met his first wife, Ruby E. Dyer while still in the Army. They were married a year after he was discharged (1908), place unknown. She was 18 years old and he was 25. A Marriage License has not been located. 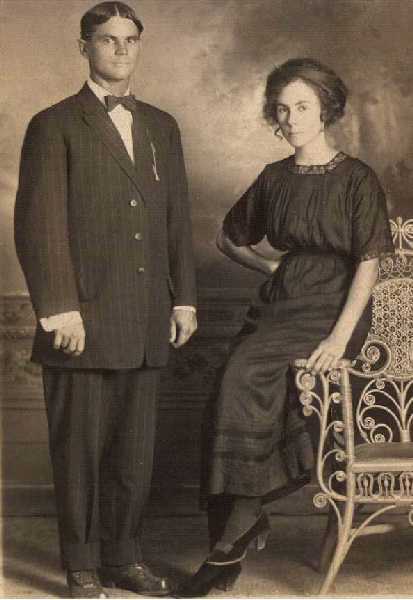 Frank and Ruby Everhart were enumerated on April 28, 1910 in the Federal Census, renting a home in Clovis City (Clovis), Ward 1, Curry County, New Mexico. His age is shown as 24 and his occupation as “cook.” They had been married 2 years and had no children. He indicated he was born in Illinois, while she was born in Arkansas. 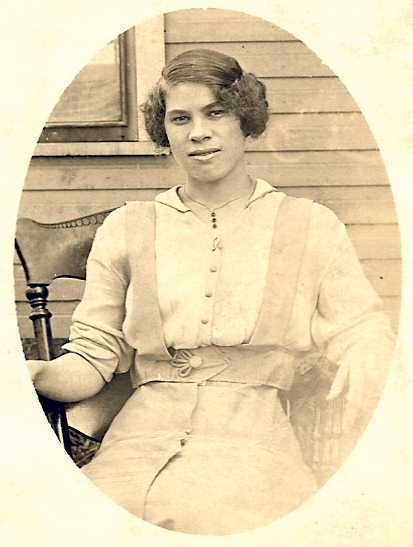 Ruby E. Dyer was 20 years old at the time of the census (born on December 24, 1889). Clovis City (Clovis, NM) was a railroad boom town during the construction of the Santa Fe Railroad and was incorporated in 1906. Their whereabouts is uncertain between the April, 1910 Census and her death on February 5, 1915. Frank was working for the Orient Shops in Wichita when she died. They were living at 1205 S. Millwood in Wichita at the time. There were no known children from this marriage. Cemetery records indicate that her father's name was John Dyer. Ruby Everhart was just 25 years old when she died from tuberculosis at their home. She was buried in an unmarked but recorded grave in the Maple Grove Cemetery in Wichita. The location is listed in the cemetery records and the gravesite was located on May 26, 1995. On March 1, 1915, during the 1915 Kansas Census, he was sharing the same rental house with his mother, Mary Everhart, and sister, Grace. Seven months following the death of his first wife, Frank married Mary Jane McKay on September 7, 1915 in Osborne, Kansas. He listed his home as Downs, Kansas and he may have been working there for the railroad at the time. On the Marriage Certificate, she lists her home as Logan, Kansas. Logan was her birthplace, but she was raised in Pond Creek, Oklahoma. She may have gone back to Logan to live with relatives. A letter to her grandmother (Margaret Attebury McKay) from about 1910 seems to indicate that Mary Jane was living and working someplace other than in Pond Creek. She may have known Frank Everhart briefly before he joined the Army in 1902, or they may have been re-introduced after his discharge in 1907. Her brother, William McKay, was married to Frank's older sister, Maude Everhart. 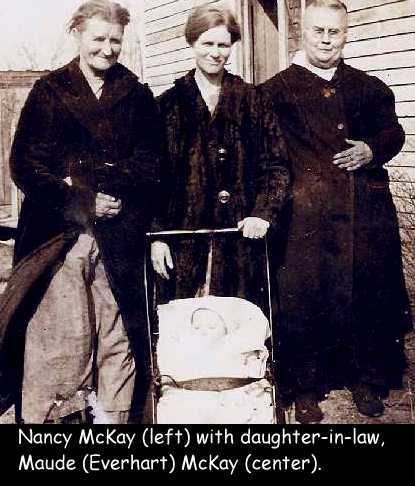 Mary Jane McKay was the daughter and last child of James Neil McKay and Nancy Jane Atteberry. She had a brother, William Henry, and three older sisters, Maude Pearl, Minnie, and Nettie May. Maude (d. 1897) and Minnie (d. 1898) both died of tuberculosis. 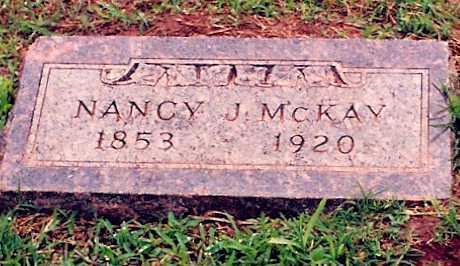 Nancy Jane McKay died in 1920. 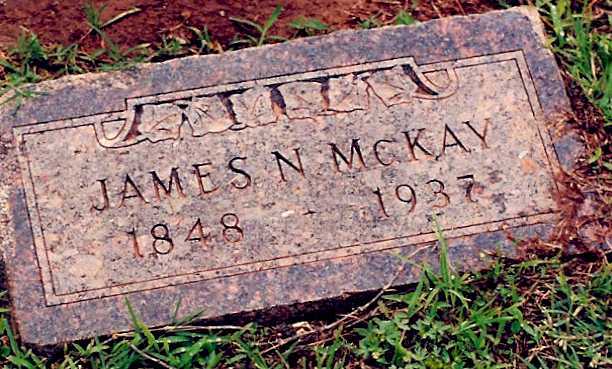 The McKay family came to Oklahoma in 1893 from Logan County, Kansas where J. N. McKay had been a blacksmith. He settled in Pond Creek and built the Central Hotel and a livery stable / blacksmith shop. 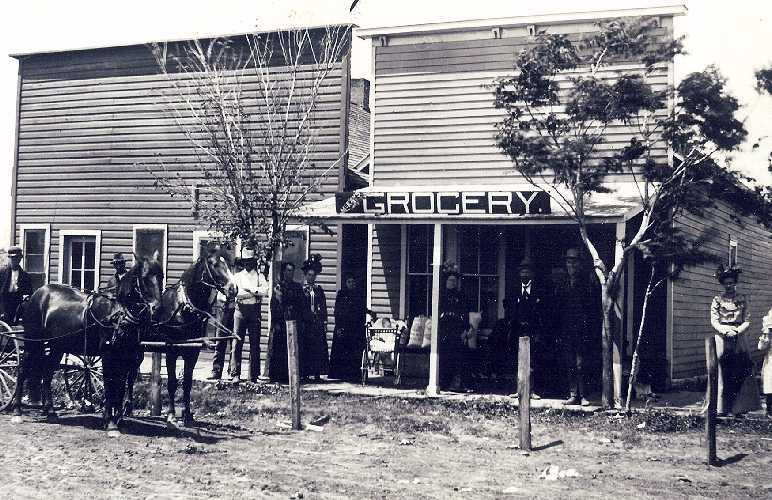 Later, J. N. McKay went into the dry goods business and operated a store on the main street of Pond Creek. After Frank and Mary Jane were married, they are listed in the Wichita City Directory from 1917 through 1920. Their first child, Winifred Marie, was born on December 29, 1919 while they were living in a small house at 309 N. Hadley. They are listed (Winifred was 4 days old) in the 1920 Federal Census for Wichita, Kansas, taken January 3, 1920. Frank Everhart was a boilermaker in Wichita and worked in the shops in the Orient Yards(second from the right in this picture) for the Kansas City, Mexico and Orient (KCM&O) Railroad, near Harry and Seneca in west Wichita. 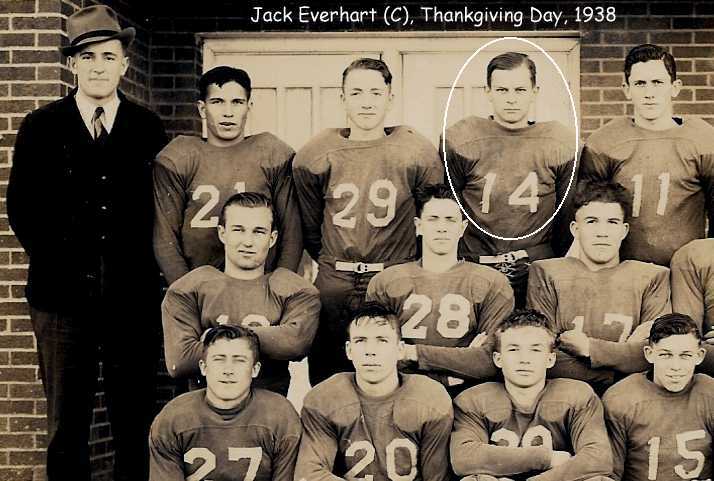 In 1920, Frank Everhart moved his family to Fairview, Oklahoma (Major County) where his son, Jack McKay Everhart was born on February 26, 1922. Frank was 35 years old when Winifred was born and 37 when Jack was born. He received his railroad engineer's license on November 8, 1924 and operated a switch engine during the construction of the rail line between Clinton and Fairview. While there, the family lived in a tent and rail car quarters before moving into their home in Fairview. This picture shows Mary Jane Everhart with her daughter Winifred. Frank Everhart had apparently been injured in a train wreck (1926?) 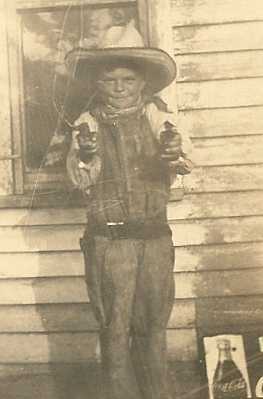 near Fairview, Oklahoma and may have been still recovering when he died at home at the age of 42 in 1927. The cause of death was listed on the Death Certificate as "Neurasthenia" and "Angina pectoris". He was working for the Orient Railroad at the time. The funeral was conducted in the family home and his body was taken to Wichita, Kansas, for burial next to his mother in the Maple Grove Cemetery. According to his obituary, he was still a member of the Church of Christ in Wichita when he died. About 1929, at the request of her sister, Nettie (McKay) Barr, Mary Everhart moved back to Pond Creek with her children to take care of their father, J. N. McKay. There she raised her children, Winifred and Jack, and never re-married. Mary Jane Everhart is shown in the 1930 Census of Pond Creek, Oklahoma living with her widowed father, James N. McKay and her two young children Winifred (10) and Jack Everhart (10). 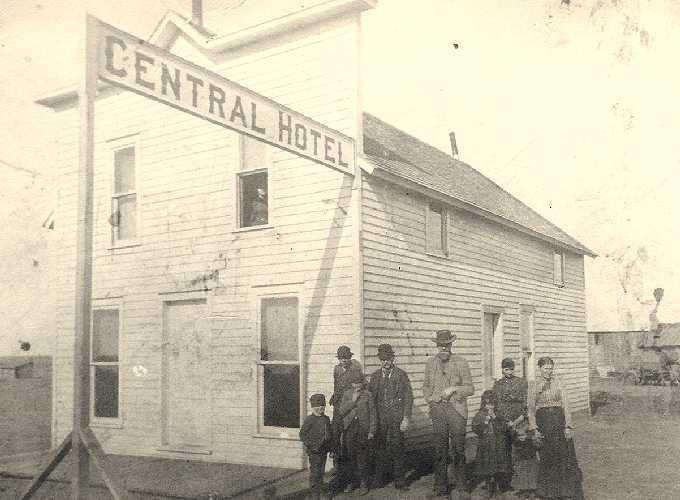 After J. N. McKay's death in April, 1937, she continued to live in the Central Hotel, the rooming house that her father had built when the family first arrived in Oklahoma, and worked as the City Librarian for several years. 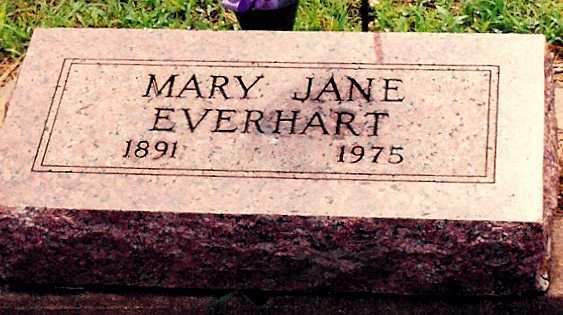 Mary Jane (McKay) Everhart died of colon cancer in 1975 and is buried in the town cemetery at Pond Creek, Oklahoma. Frank Everhart's sister, Grace Katherine Everhart graduated from Pond Creek High School (Class of 1911) as part of a Senior Class of seven students. At her graduation, Grace delivered the Class History and Will. She moved to Wichita about 1915 and lived for a short time with her brother Frank, and his first wife, Ruby, where she was enumerated in the 1915 Kansas Census. In 1916, she worked for a furniture company on West Douglas, and then continued to work as a clerk in the furniture store until she married James Alexander Walker on November 15, 1919 after his discharge from the Army. 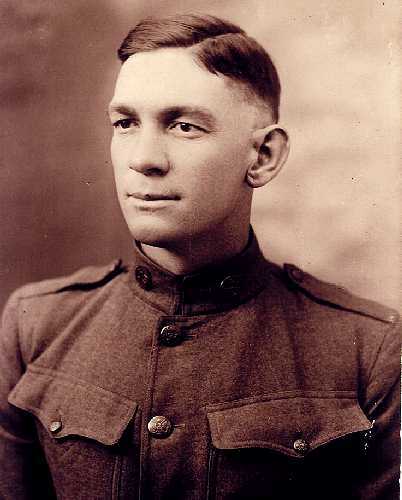 Jim Walker had served with the U.S. Army Engineers in France during World War I. 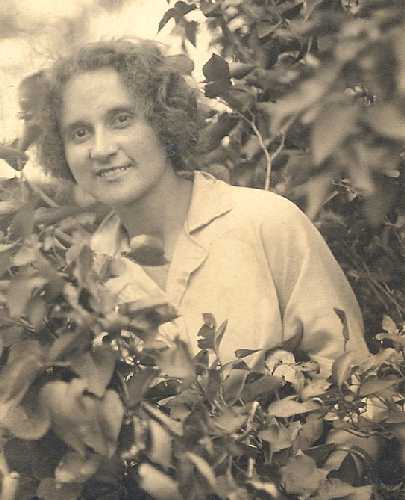 Grace's mother, Mary Corbett Everhart, also moved to Wichita about 1915, and was living with her daughter when she died in 1923 at the age of 62. Grace Walker died in California on February 6, 1976 and is buried near San Francisco. Jim Walker worked for the KCM&O Railroad and was working for the AT&SF (Sante Fe) Railroad where he got his Engineer's license on August 27, 1929. 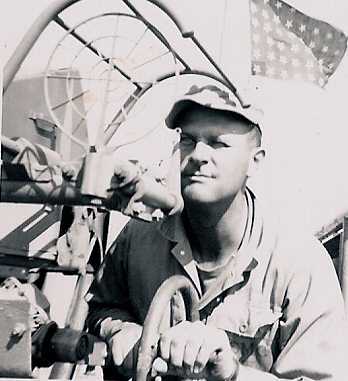 He retired on June 1, 1953 after 27 years of service, and died on January 9, 1964 in California. Frank's younger brother, Herman Everhart, is shown in the 1910 Oklahoma Census at age 21, and was working as a waiter in a restaurant while living in Pond Creek with his mother and sister, Grace. He later moved to Wichita and was inducted into the Army on May 30, 1918, at Wichita, Kansas, at the age of 29 and 7/12 years. He is described as having dark brown hair and eyes, a fair complexion, and was 5 feet, seven inches tall. 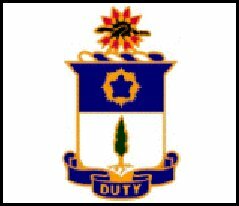 Herman Everhart's Army service number was 512478, his rank was Private and he served in "L" Company, 14th Infantry at Camp Grant, Illinois. Five months after World War I ended (November 11, 1918), Herman Everhart was Honorably discharged there on April 15, 1919 after less than a year of service. He returned to Wichita and married Una Pearl Spencer on September 11, 1920. They lived in Wichita while he worked for the KCM&O Railroad and Cuthbert Stone Company. Their daughter, Maxine, was born on August 2, 1921 while they were living at 2016 W. Lincoln Avenue in Wichita, Kansas. 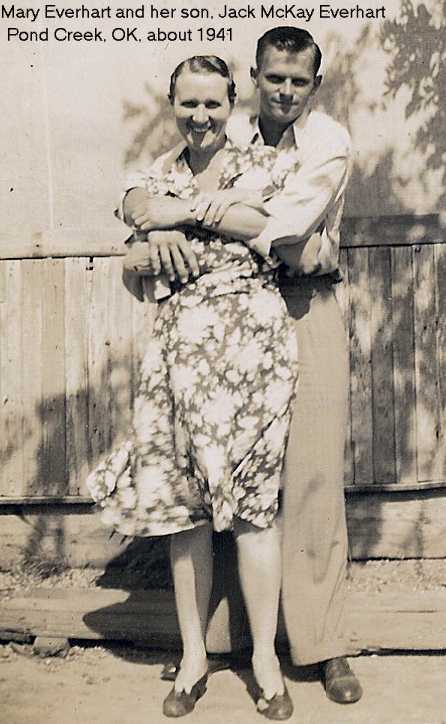 Maxine married Horace Lowry and lived in California. Maxine and Horace Lowery both passed away in April, 2005. Herman Everhart died of a heart attack on December 24, 1943 and is buried near San Francisco, California. Una Pearl Everhart was born November 13, 1894 and died July 26, 1970. Both are buried in the Golden Gate National Cemetery, in San Bruno, near the San Francisco International Airport. Winifred Marie Everhart married Ralph Seger on December 11, 1938 and they had one child, a daughter, Mary Ann, who was born on April 28, 1940. Winifred enjoyed collecting antiques, and worked for several years in the Grant County Clerk's Office in Medford. She died on September 27, 1986, at the age of 66. Ralph Seger was the son of Siler and Mabel Seger of Salt Fork, Oklahoma and had a brother named Oley. He was born on June 18, 1913 and worked as a barber in Pond Creek for most of his life. Ralph Seger died August 13, 1993, at the age of 80, and is buried with Winifred in the Pond Creek Cemetery. Mary Ann Seger married Dale Campbell on April 4, 1958, and they had two children, Debra Kay (born November 5, 1959) and Dennis Leland (born August 8, 1965). Mary Ann died of cancer in 1989 at the age of 49 and is buried in the Memorial Cemetery north of Enid, Oklahoma. 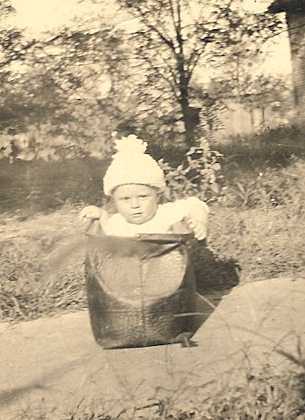 Jack McKay Everhart spent the first five years of his life in Fairview, Oklahoma. 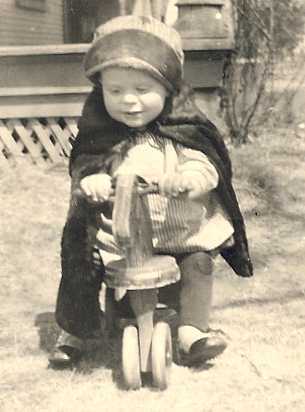 These pictures show him there as a child (sitting in a suitcase, riding a toy horse, and with his sister, Winifred and a friend). 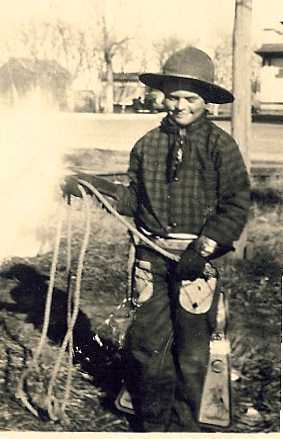 After moving to Pond Creek, he liked playing cowboy and learned to rope. He also apparently wasn't afraid of a fight and managed to get a picture taken while sporting a black eye. He played football, basketball and baseball (throws right, bats left) in High School and had time for a part time job that paid for his suit at graduation and his first car. Jack McKay Everhart graduated from Pond Creek High School on May 24, 1940 and worked in Pond Creek while living at home with his mother. 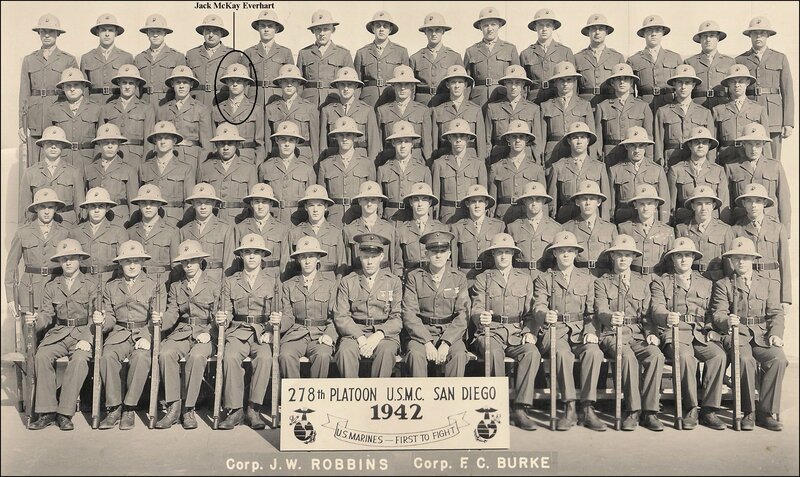 Three weeks after the bombing of Pearl Harbor, he enlisted in the Marine Corps in Oklahoma City on December 28, 1941 and was sent to San Diego for basic training. 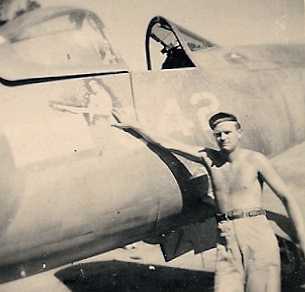 He then went to Jacksonville, Florida, for training as an aircraft mechanic. He served in the Marines until October 28, 1945. 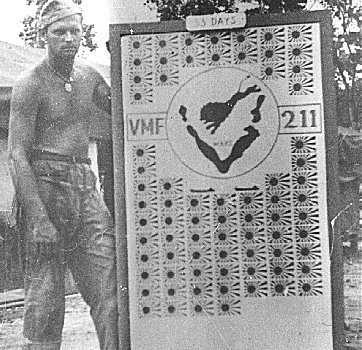 During his tour of duty, he served in the South Pacific Theater of Operations and spent time on the islands of Guadalcanal, Palmyra and Bougainville. 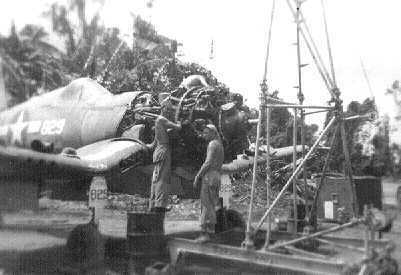 His primary military duty was as an aircraft mechanic. 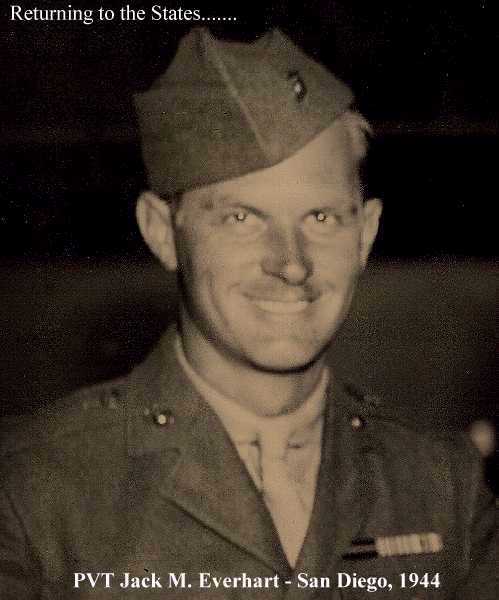 He also met Charles Lindberg briefly at Henderson Field on Guadalcanal when Lindberg was there teaching the Marines how to get the maximum performance out of their aircraft. After his return to the United States on November 21, 1944, he was re-assigned to the Cherry Point Marine Corps Air Station, North Carolina as an instructor. Cherry Point is in the Croatan National Forest on the east coast of North Carolina and is 40 miles from the Camp Lejeune Marine Corps Base. It was there that he metCorporal Betty Lou Qualheim. 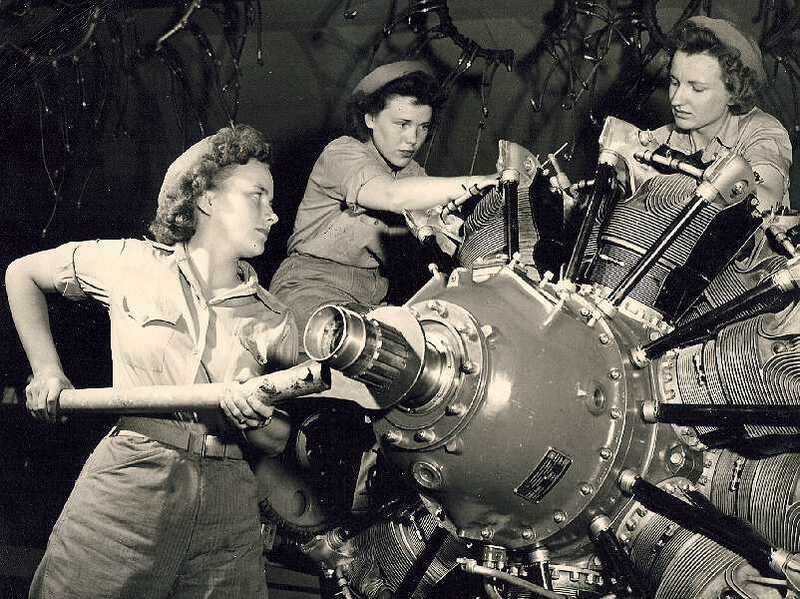 Enlisted in 1943, Betty was a woman marine who was working as an aircraft mechanic. A month before his discharge, on September 28, 1945, MSG Jack Everhart and Corporal Betty Qualheim were married in New Bern, North Carolina. 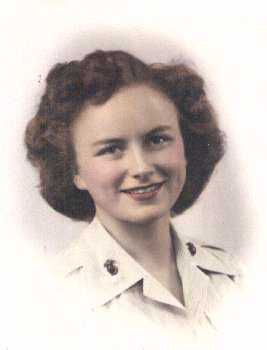 Betty Everhart was honorably discharged from the Marine Corps in November, 1945. 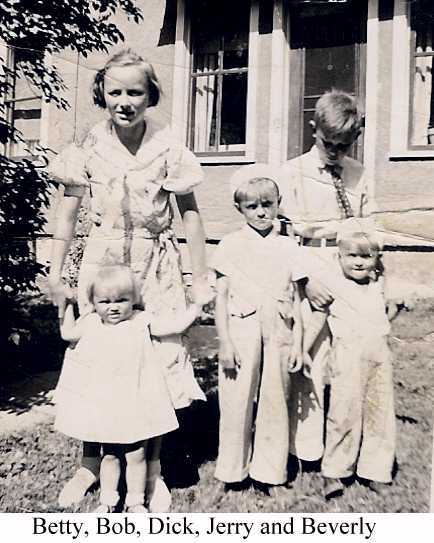 Betty Lou Qualheim was born on October 18, 1923 in Eau Claire, Wisconsin and was the oldest of the six children of Albert Qualheim and Ruth Edwardson. 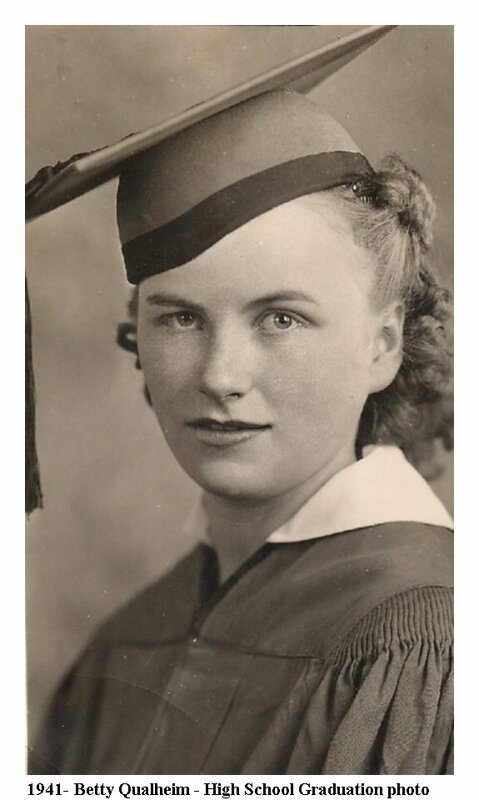 AfterBetty graduated from High School in Hannibal, Wisconsin, she worked briefly for the Kimberly Clark Paper Company before joining the Marines in October, 1943. 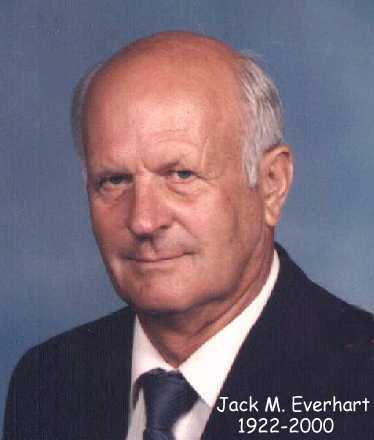 After leaving the service, Jack and Betty Everhart lived in Pond Creek, Oklahoma, where their first child, Michael J. Everhart, was born on July 8, 1946. 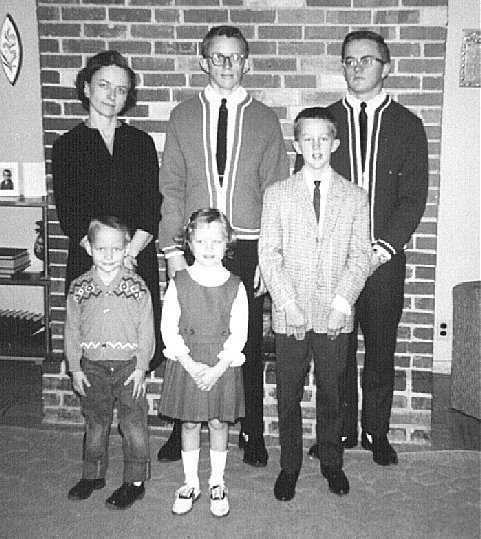 They lived briefly in Wisconsin, Oklahoma and California, before eventually settling in Wichita, Kansas to raised their five children. Their four other children were; David L. Everhart (born December 26, 1948, Wichita, KS. ), Steven R. Everhart (born August 22, 1953, Enid, OK.), and the twins, Sherri Ruth and Jerry Mark Everhart (born October 15, 1958, Wichita, KS). Here is a 1964 photo of Betty Everhart and her children. When Jack started work for the Boeing Company, the family moved to the Planeview area of Wichita, Kansas. After Jack was re-called to active duty with the Marines during the Korean War in May 1951, he moved his family back to Pond Creek, Oklahoma to be near his mother and sister. When he got family quarters at Camp Pendleton, Betty drove the family across the country from Oklahoma to Oceanside, California. 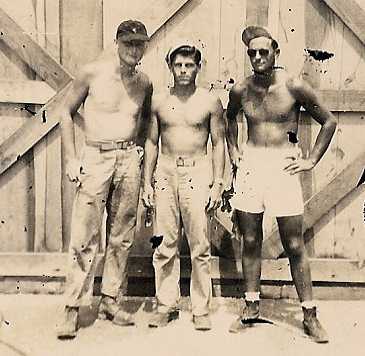 They lived on base near Long Beach for several months until June, 1952, when Jack was discharged from the Marines. 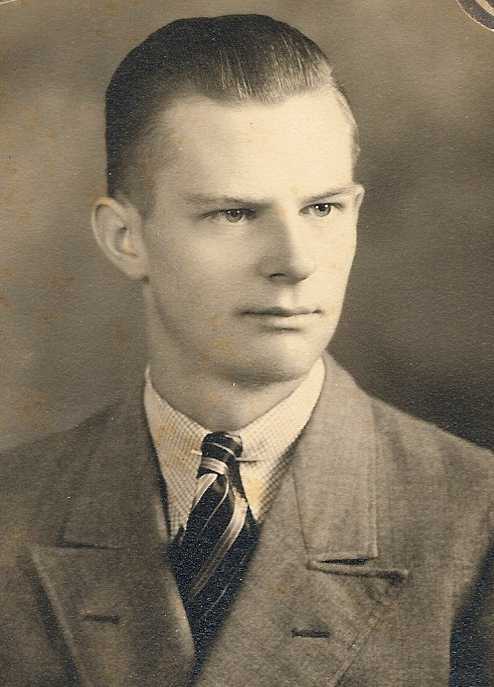 The family then moved back to Pond Creek, Oklahoma and Jack returned to work at Boeing. The family moved back to Wichita again and lived in a duplex on Ross Parkway in the Planeview addition until the summer of 1955. Initially, Mike and Dave attended school at MacArthur Grade School in Planeview. They switched to the Derby Grade School when the family moved south of Wichita to land where Jack was building the family home. Sherri and Jerry were born on October 15, 1958 in Wichita. Jack worked for the Boeing Company (37 years) until his retirement in 1984. Betty worked for the Wichita State University Bookstore briefly before going to work for the Derby High School as a Teaching Assistant where she later retired. Jack and Betty Everhart were married for 49 years. Betty died of cancer on October 15, 1994 at their home, and was buried on her 71st birthday in the Waco Cemetery, in rural Sedgwick County. 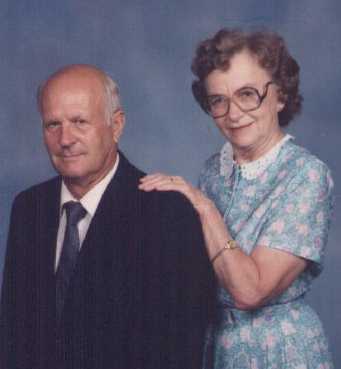 Jack McKay Everhart died in his home on February 17, 2000, 9 days before his 78th birthday, and is buried next to Betty. They are survived by four sons and a daughter, 9 grandchildren, and one great granddaughter.